Fanotec International and founder Nick Fan invented and developed the Nodal Ninja spherical bracket in 2004. Nick has many years of schooling, is bilingual and has a passion to design, engineer and build. He formed and called his new manufacturing company Digital Initiatives but later changed it to Fanotec International. Our slogan is "We Listen. We try harder". The name Fanotec was coined by a forum user because Nick showed himself to be a big Fan of Technology. A perfectionist at heart with a strong commitment to quality and customer support Nick continues to improve upon current product designs. He also works to develop ongoing products to meet the demands of the panoramic photographer. Nick frequents many forums and you will see him regularly in Nodal Ninja forum. Nodal Ninja is also the name of a company which operates under the legal protection of Bill Bailey LLC - a Limited Liability Company based in Chandler Arizona USA. 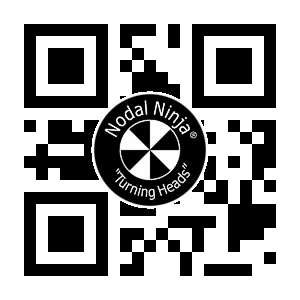 The brand name "Nodal Ninja" is used by permission from Nick Fan of Fanotec International. Many aspects of the business to include marketing and global distribution of the Fanotec product line are all handled through Nodal Ninja. Nodal Ninja is the exclusive global distributor of the Fanotec product line. While Fanotec International and Nodal Ninja are separate legally licensed entities they operate very closely with other.